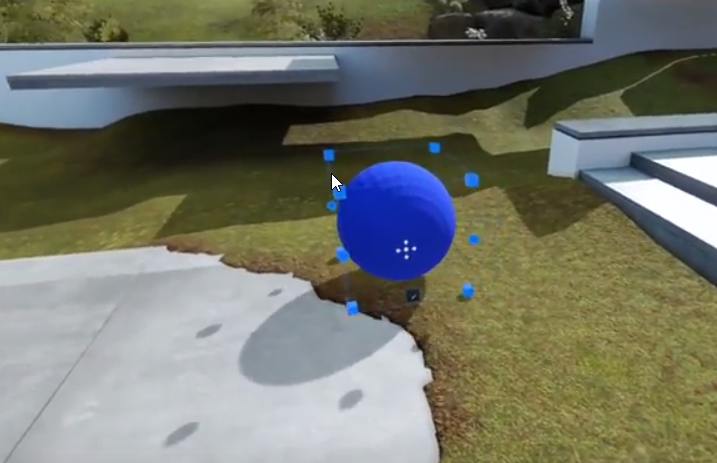 Tutorials and insights for the XAML, C#, Mixed Reality and Xamarin developer. Your one-stop shop for Microsoft Build 2018 sessions, slide decks, post links, keynotes and much more. These Playlists will continue to be reordered and updated in real time as new content becomes available. However, the links will always remain the same and you can refresh the playlist page to get any updated ordering/content. If you’re a Xamarin Forms developer, you’ve likely used PCLStorage (or other Dependency Service) to interact with the target platform’s file system in the portable class library’s code. However, since November 2017, Xamarin.Forms now uses a .NET Standard 2.0 class library and PCLStorage is no longer supported. This isn’t a problem because in .NET Core 2.0 you now have access to System.IO.File’s GetFolderPath and SpecialFolder methods (see System.IO.File in .NET Core 2.0 docs). As a very simple example, I created a couple extension methods for Stream and Byte in the below FileExtensions class. To test it, I created a ContentPage that downloads an image, saves it using the extension method and set a FileImageSource to confirm that it’s a file (instead of just using a StreamImageSource). Note that the extension methods are very basic and shouldn’t be used in production as-is (i.e. no defensive programming code). I was given the honor of having early access to Windows 10 on ARM (WoA) so that I could chronicle the experience and provide you with tips to ensure that your development experience is smooth. I’ll go through a list of potential issues you might encounter, along my fix for each. This article is intended to be a quick guide on how to set up the device so that you can deploy and debug your apps. I will be writing this from a UWP developer’s perspective, sharing the experience of deploying and debugging this real time video effects test app. Several of my fellow MVPs also got a device and will be writing posts about their experiences as well. Some articles will be UWP specific and others win32 specific, see the Additional Resources section at the bottom of this post. Okay, enough intro talk, let’s get our hands dirty. First, a little primer on x86 emulation, an explanation of how Microsoft was able to get Windows on ARM and how your app will work. Chances are you’re using a 32 bit application right now, but your PC is running a 64 bit version of Windows running on an x64 CPU. How does an application with 32 bit instructions work on a CPU that expects 64 bit instructions? This is accomplished using x86 emulation, provided by the WOW64 layer in Windows (WOW64 stands for Windows 32bit on Windows 64bit). To create Windows on ARM, Microsoft ported Windows 10 to ARM64! The kernel, shell, in-box drivers and in-box apps all run native on ARM. What about your apps? Windows on ARM has x86 Win32 emulation! The WOW abstraction layer, in concert with a custom x86-to-ARM emulator and CHPE dlls (x86 assemblies with ARM64 code in them, pronounced “chip-ee”), your x86 application can run in an emulated process on an ARM CPU. The x86 instructions are translated to ARM64 at runtime and they get cached so that future app runs are faster! Win 32 apps (x86 supported, x64 not supported). Tip: If your Store application has an ARM32 package available, it will be installed and will run natively as this provides the best user experience. Where possible, make sure all of your Store apps also have an ARM32 package. For win32 apps, you can use NGEN (see #2 under the General Tips section below). For more info about Windows on ARM, take a look at Kevin Gallo’s Community Standup video here and the Build 2017 session from Hari and Arun here. If you’ve used Visual Studio’s remote debugging tools before, for example with Hololens or Windows IoT, then you’ll feel right at home. The process is essentially the same, but with a couple things to keep an eye out for when you’re first getting started. The first thing you need to do is enable Developer Mode in the device’s PC Settings > Updates and Security > For Developers page. Not only so that you can deploy apps to the device, but also to enable the Remote Debugging tools. However, you may not see this option, which brings me to my first point. My device came with Windows 10 S out of the box, this means that I will not see a “For Developers” item on the Settings > Update and Security page (screenshot above). Upgrade the OS. I used a product key for Windows 10 Pro in the Settings > System > About page, but you can use whichever option is available to you. After updating you’ll now see the Developer Mode option on the For Developers page, toggle that to move forward. Enabling this will trigger a download an installation of a Developer Mode package that contains the Remote Debugging Tools. You may experience an issue where the developer mode package didn’t install correctly, you should see a “Remote Debugging Tools Installed” success message. If you didn’t or see an error message, this means that you will not have the tools on that machine and you’ll get frustrated when trying to deploy from Visual Studio. Download and install the tools manually, you can find the download here. Alternatively, you can copy over the tools from your dev machine if you’re familiar with the steps, but installing the tools is the most straightforward option: run and done. If you’re not familiar with using the Remote Debugger, I strongly urge you to read this Microsoft documentation article, but let’s go through the main steps. If you open your application’s Properties page in Visual Studio, and switch to the Debugging tab, you’ll see that you have a Target Device drop down. Now you have an opportunity to select a remote device, but you will most likely see that the ARM PC isn’t showing as an available device to target. There are two ways to solve this, use the device’s IP address or let “Auto Detected” find it for you. In both cases, the device needs to be visible on the network, but Auto Detected is far better because it helps with setting Authentication Mode. No devices are in the Auto Detected list or you can’t connect using IP address. You need to make sure that the both the development PC and the ARM PC need to be on the same network and that Network Discovery is enabled. Click that bar and follow the prompts, it will ask you to make the network you’re on a Private Network (that’s my preferred option as it’s the safest). You’ll now see that the PC will scan the network, finding other devices and listing them in File Explorer. Go ahead and close File Explorer now that it has done its job. NOTE: If you need to, repeat this process for your development PC. With both PCs visible on the Network, reopen the Remote Connections dialog window again (using the “Find…” button) and check the Auto-Detected list for the ARM PC. Select it, then follow the steps to connect and pair it. You’re not able to see the device in the Auto-Detected list, and you’ve hit Refresh button to scan again. You can instead use the ARM device’s IP address and select “NONE” for the authentication option. When selecting this route, you’ll be shown a PIN number to pair to Visual Studio. I haven’t been able to get Universal Authentication to work with manual IP address connection yet, but my follow MVP testers have and their blogs posts may touch on this further. Congrats, now you’re ready to deploy! Before you click F5 (or that shiny green start debugging button) for the first time, let’s review another issue you will encounter that might you might miss. 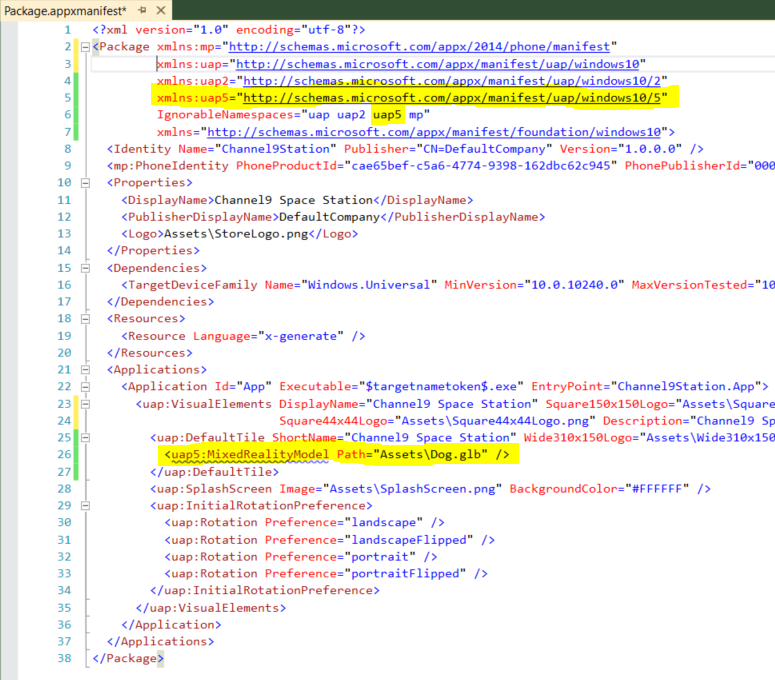 I didn’t see it the first time because I was looking at Visual Studio instead of the device. Keep an eye on the ARM device for an elevated permissions UAP prompt the first time you deploy. You may only see a TaskBar yellow-flashing icon and not a full screen prompt, click the icon to see the prompt and allow it. You’re going to be quite surprised at how well everything just works, In several cases, I found my apps worked faster on the ARM device than my dev PC! When remote deploy does’t work, look at the Visual Studio build output window. Close to the end of the build output, you’ll probably see a reason why the deploy failed. Error: The Microsoft Visual Studio Remote Debugging Monitor (MSVSMON.EXE) does not appear to be running on the remote computer. When using an x86 application on Windows 10 on ARM, the first time an app launches it will be a little slower. This is because the x86 to ARM translation will occur the first time, but the result is cached on disk so the future launches are significantly faster. Also, while waiting for that first launch, don’t try to relaunch it again. Otherwise, you’ll end up opening multiple instances of the app that will further slow things down (it can take 5-30 seconds depending on how much translation needs to be done). I’ve communicated my feedback to Microsoft that there should be some sort of indication that the app is starting up (e.g. a flashing taskbar icon). If the app is a Store app, provide an ARM package so that it runs natively and doesn’t need emulation. If the app is a win32 app, try using NGEN. This post will be a living document for a little while, I’ll come back and update the post with anything new I find, and continue to share my tips with you. I’ll be sharing my fellow MVP’s posts as they become, see them under the Additional Resources paragraph below. I hope you enjoy running your x86 apps on an ARM device as much as I have, it’s a wonderful future for mobility and battery life where you don’t have to sacrifice your library of applications because of a CPU’s architecture. Are you stuck trying to deploy your app? Leave a comment below or reach out to me on Twitter here (please remember that I can only answer development-specific questions). I will update this list as more posts from my fellow MVPs, and Microsoft documentation, becomes available. Telerik UI for Xamarin comes with two themes out of the box, Default and Blue. You can easily style individual items, but you can also define an entire theme at once in a separate ResourceDictionary. With this approach you can swap out ResourceDictionaries at runtime for a nice user-selected theme feature in your app’s settings. Let me walk you through a very simple demo to illustrate the approach. Xamarin.Forms doesn’t have a good ResourceDictionary template, so start with a Content Page (XAML) template and then change the ContentPage type to “ResourceDictionary” in both the XAML and code-behind. Now, you can add in all the styles and colors you want in that one dictionary. You can find the Color names we use for your controls in the Themes Overview documentation. In the custom dark theme example below, the Color resource key values are pretty clear as to what they do. I usually like to create a static class like this so that I can change the theme from anywhere in the app, but isn’t necessary. You can put this logic entirely in your settings page if you’d prefer. You may have noticed that I’m using a RadResourceDictionary. We created this when Xamarin.Forms didn’t have MergeWith support. You can use a Xamarin.Forms ResourceDictionary type if you’re using a newer version that supports it. I’m using a RadSegmentedControl to change the theme, and a RadListView to easily see the difference between themes. You can of course use whatever UI control you’d like to change themes, for example a Picker. When selecting one of the options, you’ll get one of the three results you see in this article’s header image. If you have any questions feel free to reach out to me on Twitter at @lancewmccarthy. Microsoft has opened up the ability to have a 3D app launcher to all developers in the Fall Creator’s Update. In this blog post, I’m going to show you how to build your own 3D app launcher from scratch (accompanying YouTube tutorial video embedded below). What is a 3D app launcher? 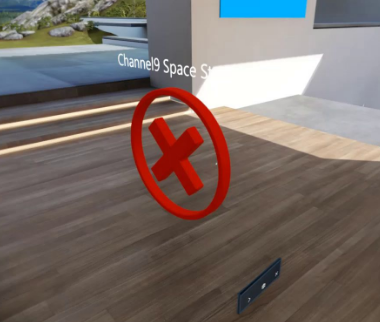 Up until now, you’ve only been able to have a regular 2D tile in the Start menu and the user could place a 2D frame of your app on a surface in the Cliff House (the Mixed Reality home) or on a surface in your HoloLens mapped area. Clicking the app frame would launch the app in the same frame. If your app was a 3D app, then it would launch the immersive experience, but the launcher was just a 2D . The user wouldn’t be able to intuitively know that the application is an immersive app. There are some apps that have 3D launchers, for example the HoloTour app that you see in this article’s featured headline image. Wouldn’t it be nice if your immersive application had a 3D launcher, too? By the end of this blog post, you’ll be able to! To get started, let’s take a look at the model and how to build one yourself. First thing you’ll need to understand is that Microsoft requires your model to use gITF 2.0 specification and more specifically, the binary format (.glb). To accomplish this, we are going to use Blender. Blender is a modeling and animation application that is open source and free. You can choose to build your model directly in Blender if you’re familiar with it. Alternatively, build the model in another application but use the Blender gITF Exporter add-on, which is what I’ll show you today. To keep this tutorial simple, I’ll create a simple UVSphere in Blender and use a solid color texture. Creating complex models in Blender is a bit out of the scope of this post, however I cover doing it from scratch in this video (if the video doesn’t load, here’s the direct link). Just be sure to read the next section, even if you followed the video, so that you’re familiar with the restrictions you’ll inevitability encounter while trying to use different models. 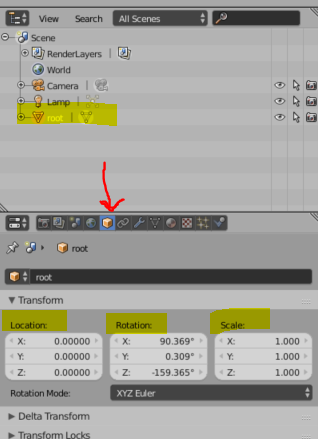 Now, look in the Outliner panel (located at the top right of Blender) and find the object named “root” this is the imported model. Then, to get the right editing options, select the Object properties button (see the red arrow in this screenshot). The Up axis should be set to “Y”. The asset should face “forward” towards the positive Z axis. UVs must be laid out in a square arrangement in the 0-1 space. Avoid tiling textures although they are permitted. Now, lets re-frame the 3D view so we can see the model by using the “View All” shortcut again. You should see that your model is now at the right place and close to the right scale. Now that you can see what you’re doing, make any additional tweaks so that your model meets #1 and #2 of the Microsoft guidelines. If you need to reduce your triangle count, you can use the Decimate Modifier on your model. Go here to learn more on how to use Decimate (I also recommend checking out a couple YouTube videos on the topic, Blender is complex app). Now that your model is done, it’s time to export it as a gITF binary file. By default, Blender doesn’t have a gITF export option, so you’ll want to use the KhronosGroup glTF-Blender-Exporter. Installation of the add-on is pretty straight forward, go here to read the instructions. Finally, enable the add-on in Blender (last step in the instructions). Once the add-on is enabled, go ahead and export your model! 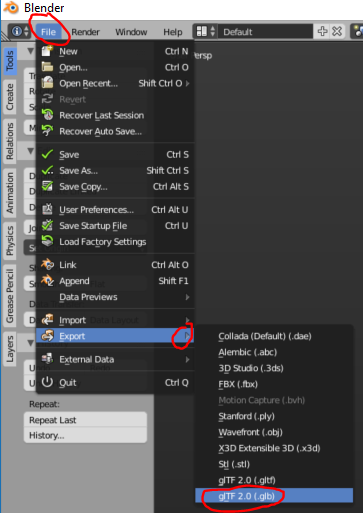 You’ll see a glb option in the File > Export list. You can now pack your more complex textures using a new tool released by Microsoft a few weeks ago! It takes away the requirement to be a shader ninja by importing your existing glb, packing the textures properly and exports an updated glb that will work in the Mixed Reality home. Now that you have a glb file, it’s time to open your Mixed Reality UWP app in Visual Studio. Once it’s loaded, we need to add the glb file to your app’s Assets folder (right click on the folder and select “Add > Existing Item”). Once it’s been pulled in make sure you set the Build Action to Content (right click on the file, select Properties and change Build Action to content). You can see the final result at the end of the video above. Keep in mind that I keep the triangle count down for this, but next time I’ll likely increase it to 64 segments and 32 rings. Additionally, I’ll use a texture that can be mapped around a sphere (the Earth for example). If you’re having trouble with your model and want to check your app settings with a known working mode, download the glb I created for here. I hope this tutorial was helpful, enjoy! “Cannot download Windows Mixed Reality software” error fix! I spent a lot of time digging around the Hololens forums and long conversations on the Holodevelopers Slack and it seemed there was a wide variety of reason for this. However, after looking at my Developer Mode settings page (in Windows Settings), there was an incomplete dev package installation. At this point, I suspected I needed to “side load” these packages, bypassing the on-demand download over network. I just didn’t know where to find it until… my hero, and holographic Jedi, Joost van Schaik (@localjoost) had the same problem and found a fix for his. Joost followed a suggestion from Matteo Pagani (@qmatteoq) to use dism to install the packages manually. I tweaked his solution (basically just found different packages) so that that it worked for a non-Insider Preview build and it worked! It turns out that you can get the ISO file for the On-Demand-Features for your version of Windows 10 and install the packages manually. 2 – Download the Windows 10 Features on Demand file (ISO file) listed there. Note: There may be two ISOs offered for download, I found the cabs I needed in the 1st ISO. 4 – Open the Mixed Reality Portal app again and bingo, success!!! After some discussion with the folks at Microsoft, it turns out that if your PC is using WSUS (Windows Update Service), which is normal for a domain-joined PC under a corporate domain policy, this can prevent the download of some components (like .NET 3.5, Developer Package and Holographic Package).